Norsteel Buildings: What is a Living Building? Lately, you’ve probably been hearing the term “Living Building” quite a bit and that is because it is becoming very popular in the steel building industry. If you’re wondering what living buildings are or what the term means, The Cascadia Region Green Building Council (CRGBC) and the Northwest Chapter of the USGBC describes it is a structure that generates all of its own energy with renewable nontoxic resources, captures and treats all of its water, and operates efficiently and for maximum beauty. The two groups have been trying to get the word of living buildings out in the public particularly in construction industries and are also trying very hard to launch a new program called the International Living Building Institute in order to promote awareness of the concept all over the world. Jason McLennan, CEO of CRGBC states “We view our role as the organization that is meant to ask the really tough questions, to push the boundaries as far as possible,” says Jason McLennan, CEO of CRGBC. To this end, in 2006 the group launched its Living Building Challenge (LBC), a “call to the design and construction community to pursue true sustainability in the built environment.” In North America, over 60 different projects are trying to meet LBC standards which are even higher than LEED certification standards. So far there is one building in Rhinebeck, NY named the Omega Center which has been completed and is being considered for the LBC program. The building is a 6,200 square-foot and a one level building which will be the head office for the Omega Institute for Holistic Studies and will feature a geothermal heating and cooling system. The building will also include solar panels and rain gardens that are meant to direct water run-off to keep plants watered at all times. The center will also include a greenhouse which will help filter wastewater for reuse such as daylighting design that will bring in natural light from the outdoors. Daylighting will minimize the use of electric light usage. 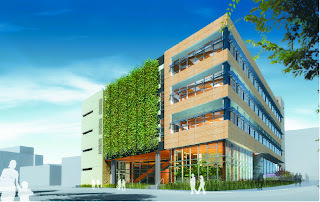 The building was created to be a net zero building which meets LBC criteria. Net Zero buildings also classify as buildings that use no more energy than they generate themselves. 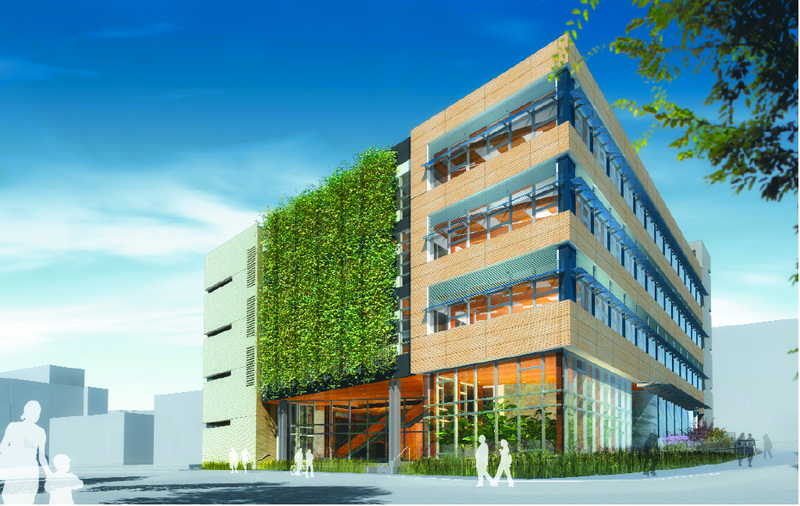 Once the Omega center has been up and running for one year, it will be audited by the CRGBC in order to find out if the building meets its performance and lives up to the living building criteria. Other buildings that are being considered for LBC will also be audited. The downside of net zero or living buildings is that they are very expensive. Finding materials that meet the LBC standards may also be difficult to find, but as LBC and net zero gain awareness and popularity in the future to come these products will become easier to find. Once more of these buildings become well known and more of them are up and running, we can expect see dropped costs as well as a more environmentally friendly environment!